2017 marks the 40th anniversary of the Star Wars saga, and what better way to celebrate than with this amazing collector’s tin! Featuring the original "Star Wars: A New Hope" novel and a doodle activity book in an awesome silver tin. This is the perfect gift for Star Wars fans aged from 7 to 70! 2017 marks the 40th anniversary of the Star Wars saga, and what better way to celebrate than with this amazing collector’s tin! 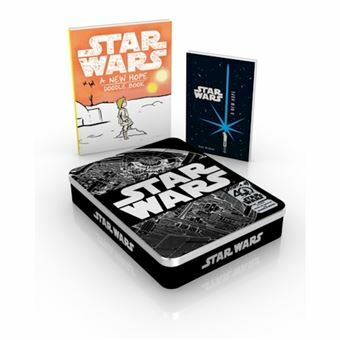 Featuring the original "Star Wars: A New Hope" novel and a doodle activity book in an awesome silver tin.